Your solution for quality obstetrics, specialized gynecology and urogynecology care. Let us work for you and see for yourself how we exceed our patients’ expectations! "Dr. Macey is an absolute awesome doctor and dear friend to me as well. " "Dr.Macey is absolutely awesome! I would recommend him to anyone needing an OB/GYN." "Dr Macey is so nice and respectful, you can trust him"
"This man is a doctor who actually takes his time and cares about his patients." "Dr. Macey is the most caring doctor I have ever been to." He also offers state of the art treatment options that have a variety of applications, including the innovative MonaLisa Touch® laser. Dr. Macey has many tools at his disposal that allow him to offer you individualized treatment plans, as well as the highest quality of care. 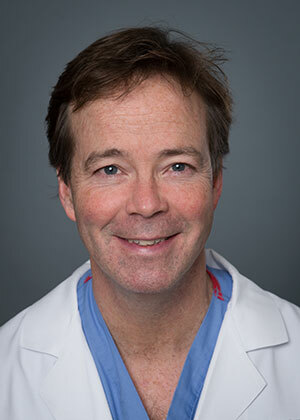 Dr. Macey started his medical career in 1990 after graduating with his medical degree from Vanderbilt University School of Medicine. He then went on to complete his OB/GYN residency at the Carolinas Medical Center before returning to his hometown of Nashville to open his practice. Dr. Macey, who has 27 years of experience, and is certified by the American Board of Obstetrics and Gynecology, proudly serves women of all ages throughout the Kentucky, Alabama, and mid-central Tennessee area. In addition to receiving the Patient's Choice Award from 2008 to 2014, he's also a past recipient of the Compassionate Doctor Recognition Award from 2009 to 2011. He’s currently accepting new patients, so click or call today to schedule your first appointment with him. Dr. John Macey accepts most major insurance plans. Please contact his office if you do not see your insurance plan listed. "Dr. Macey has been my doctor now for almost 15 years! I cannot say enough about how amazing he is, I highly recommend him he's a wonderful doctor!!" "Dr. Macey cares about his patients. He always takes the time to listen to your concerns, answers any questions, and goes above and beyond to give the care needed"
"Dr. Macey cares about every aspect of his patients' health, from physical to emotional to spiritual." "He is so kind and patient. He knows the field and cares about you, which is hard to find these days. He made my deliveries better than I ever expected!" "If you are looking for an innovative expert in the field who listens to and communicates well with patients, look no further." "Dr. Macey will always take time to explain things to you. I have been his patient for 26 years, he is an amazing doctor." "It is well worth the wait to see Dr Macey! I have been going to him for 22 years, he is very compassionate and considerate of his patients. " "This physician is a true professional in his field. He is very knowledgeable of women's issues in gynecology and obstetrics and his bedside manner is superb!"